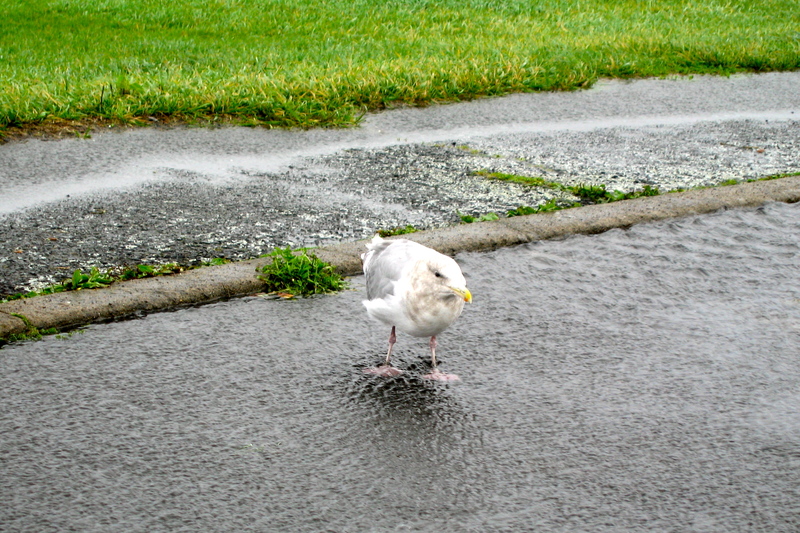 Jonathan Livingston Seagull is grounded…Can’t pull his webbed feet out of the puddle. 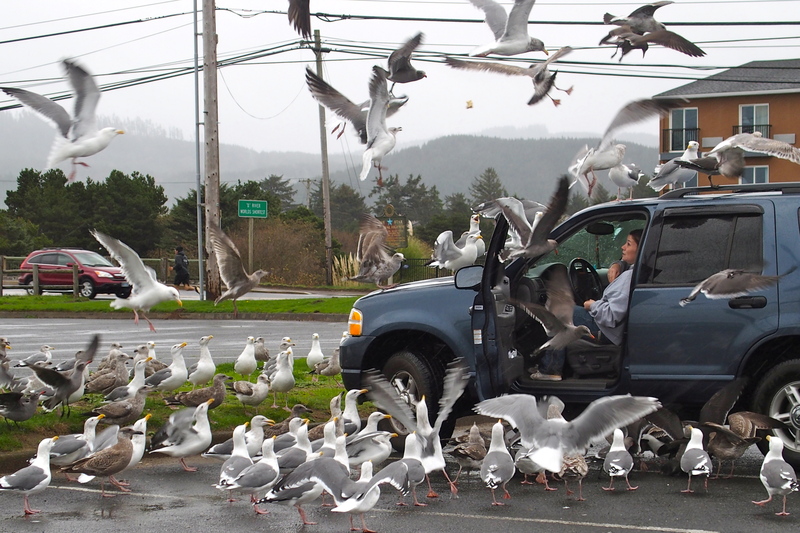 And speaking of birds, one lady was trying to recreate Tippi Hedren’s role from The Birds. Let’s get all our ducks in a row (or maybe gulls). 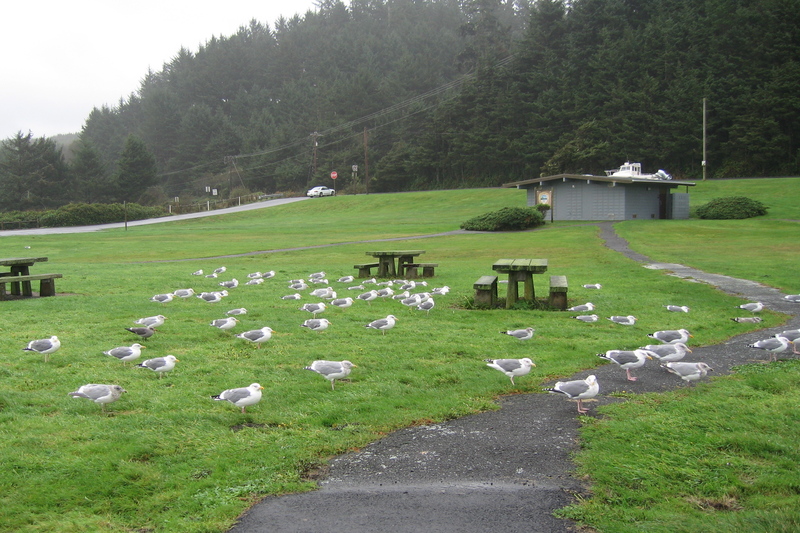 The gulls need to brace themselves facing into the wind or they get blown off the cliffs. When it rains it pours. Now what does that mean exactly? We’re besot and besodden by the rain as we head toward Lincoln City and Newport. 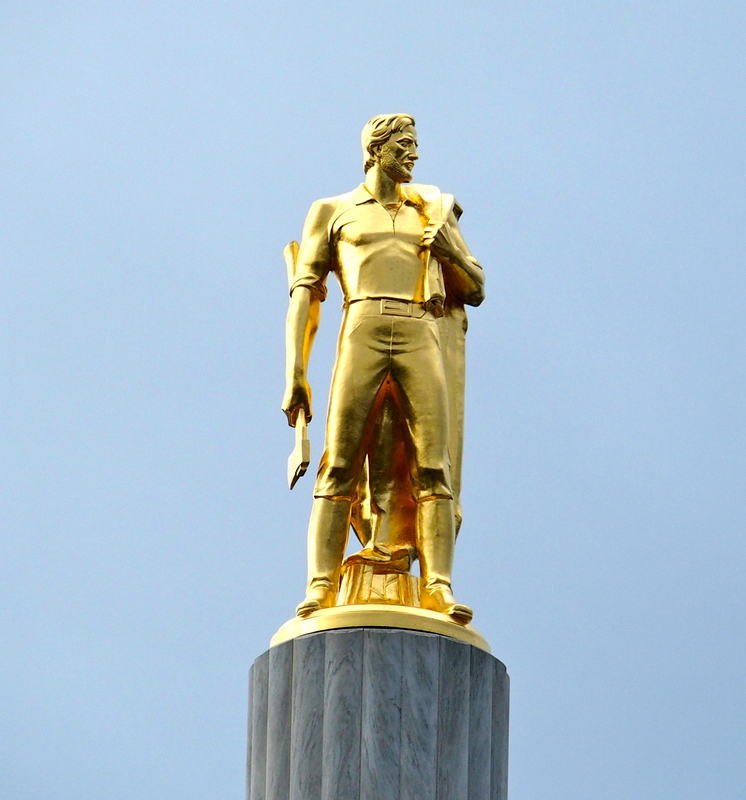 First stop is seeing the Oregon Pioneer on top of the Oregon Capitol building in Salem. He’s 76 years old, carrying an ax and symbolizing the pioneers who first settled in this area (after the Native Americans). He doesn’t appear to need an umbrella. 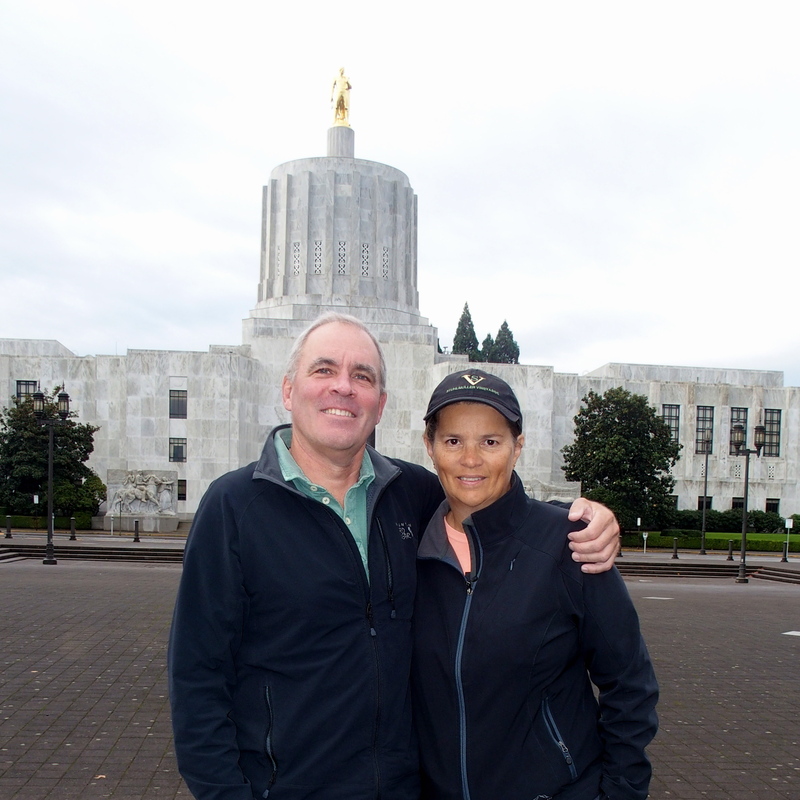 Along the same lines in Willamina (pronounced Will-AM-in-a?) 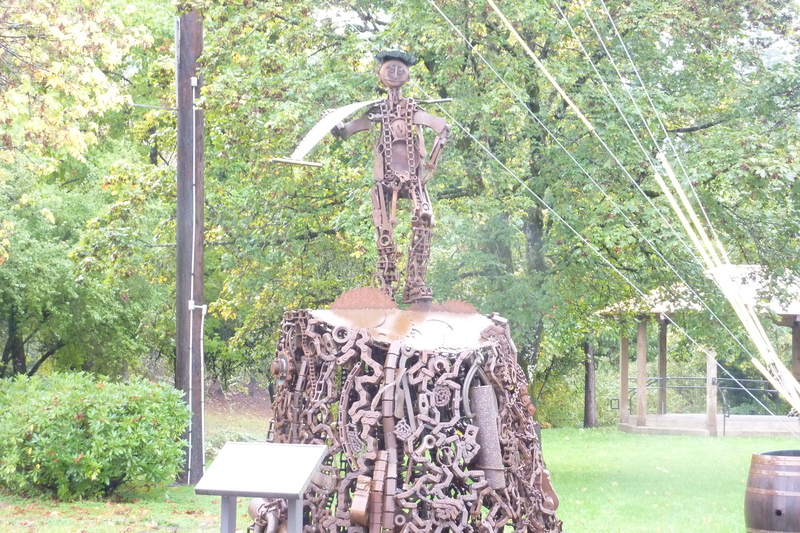 is Rusty the Logger who symbolizes the logging contributions to the community. He’s carrying a crosscut saw. There’s an ax-head on his shoulder too. Not quite as shiny as the Golden Pioneer. Rusty looks a little like the mammoth at Domaine Serene in Willamette. Rusty has been replaced by more mechanized equipment. 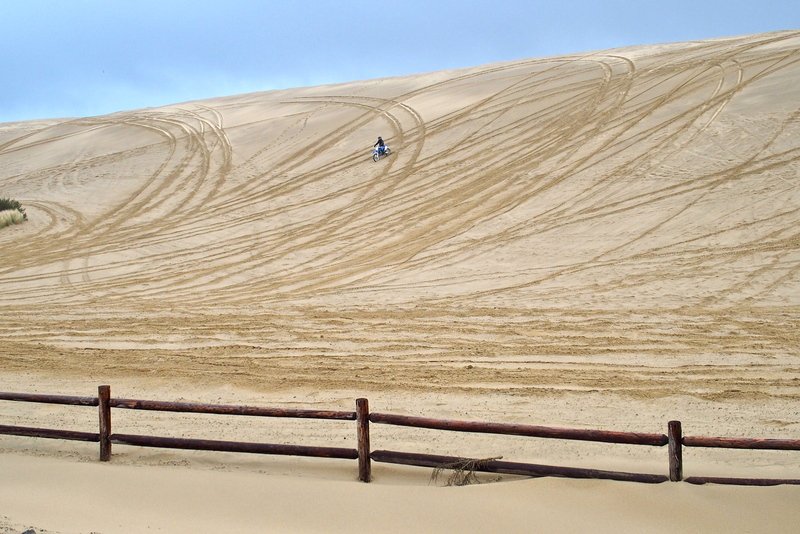 We see patches of land that have been clear cut and trucks, trains, and boats carrying the logs and lumber products. 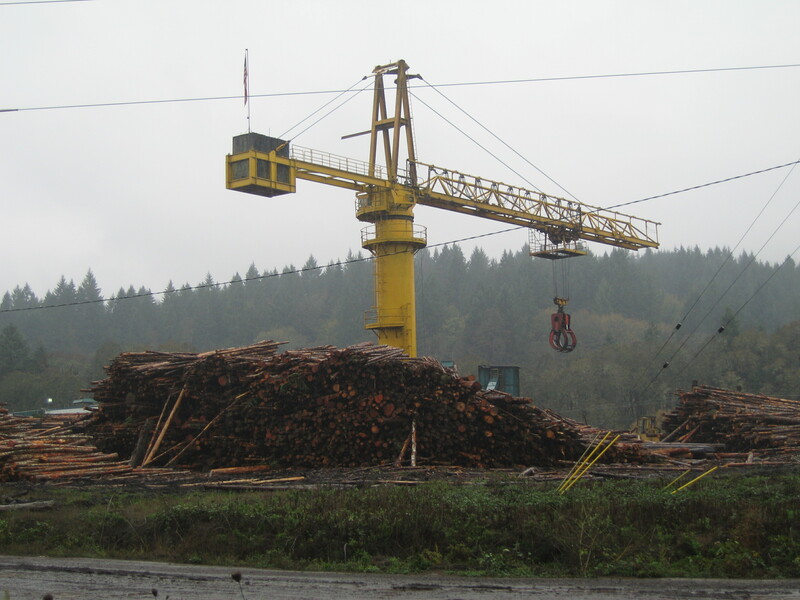 A small sampling of logs and logging equipment in the area. Normally you expect that after the rain comes a rainbow. Here we’ve found that after the rain…comes more rain! 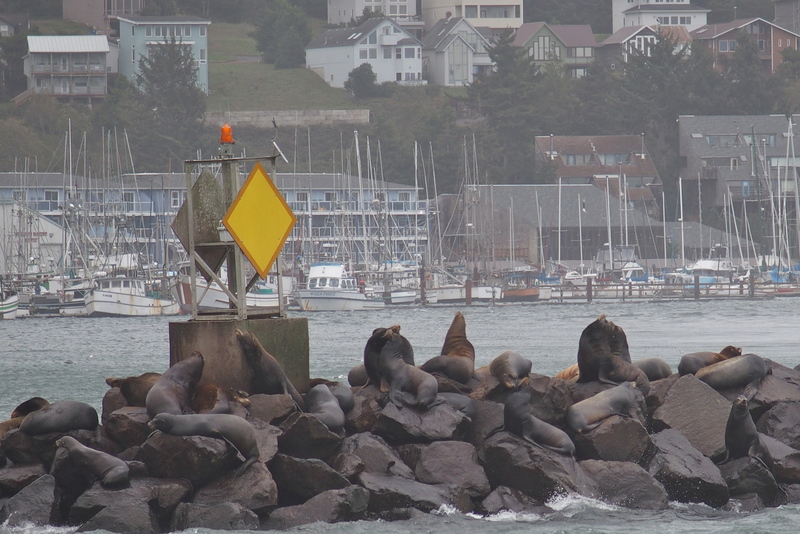 The sea lions in Newport don’t seem to mind the rain. They’re resting on the rocks after eating lunch. The crabs don’t fare as well. 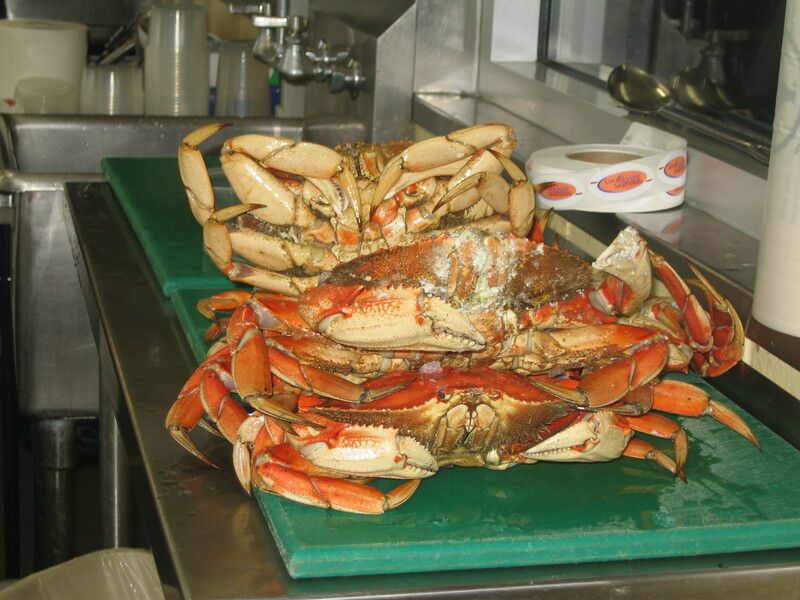 These Dungeness crabs were more than 2 pounds and fully cooked, ready to be eaten for lunch. 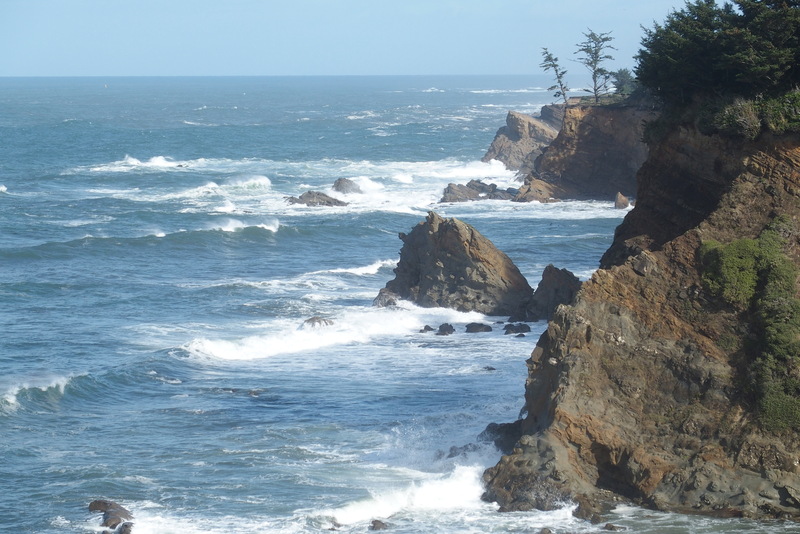 This whole section of the Oregon coast is dotted with state parks, each with a view of majestic cliffs and powerful waves. We caught glimpses between raindrops. 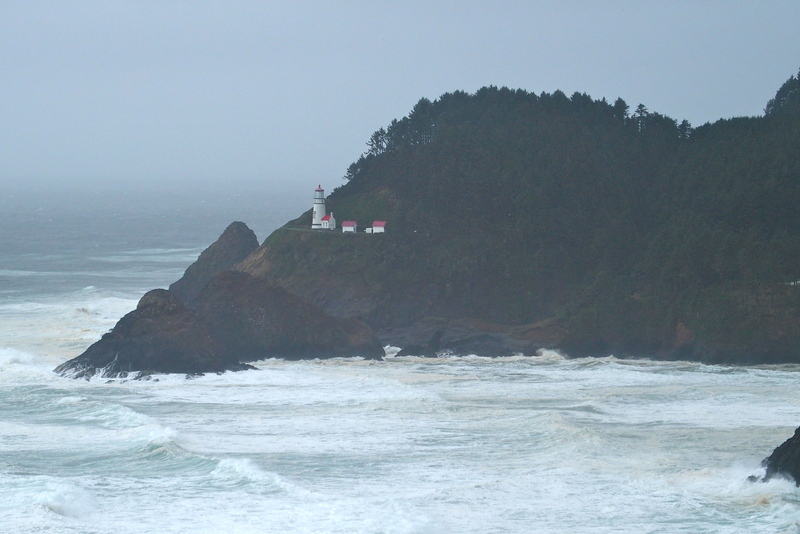 The winds reached 50 MPH while traveling the Oregon coast road. 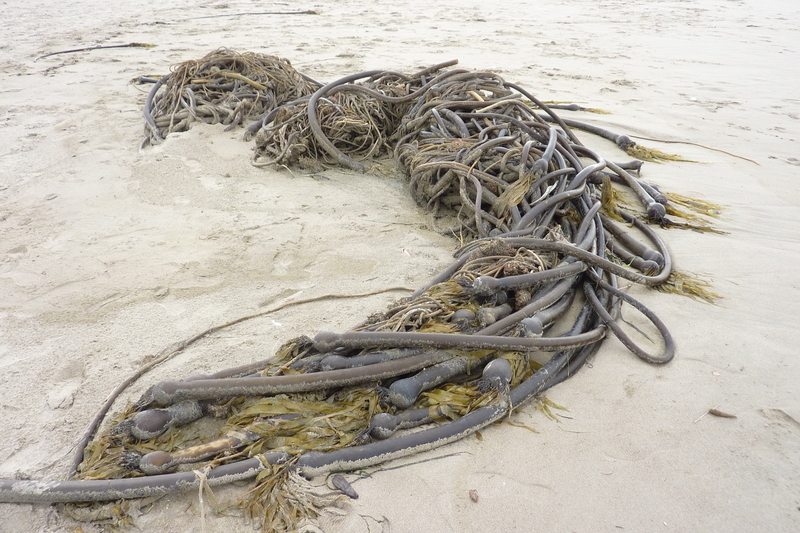 This gnarly mass looks like octopus tentacles but it’s some kind of sturdy seaweed. Maybe this is the tangled “hair” of Medusa that pulled sailors toward treacherous rocks. 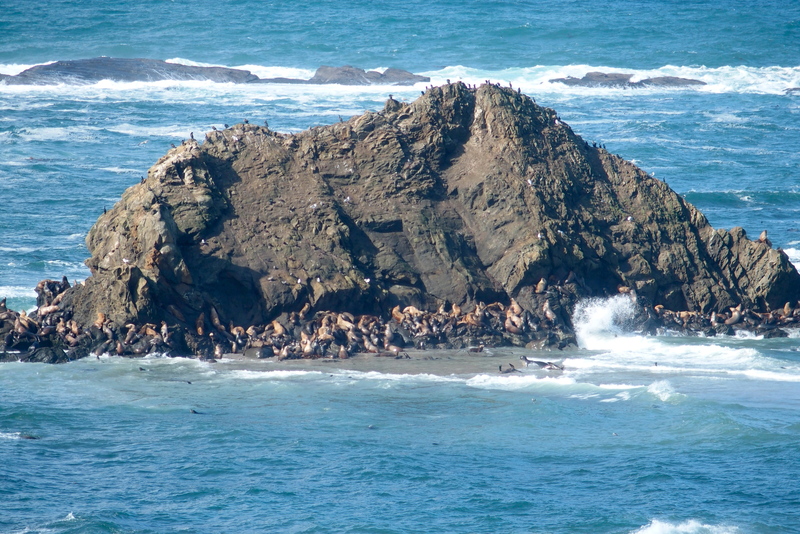 Sea lions can grow to 7 feet and 1,000 pounds. Although these particular animals looked rather lazy, National Geographic says they can swim at 25 mph and dive over 1,700 feet. 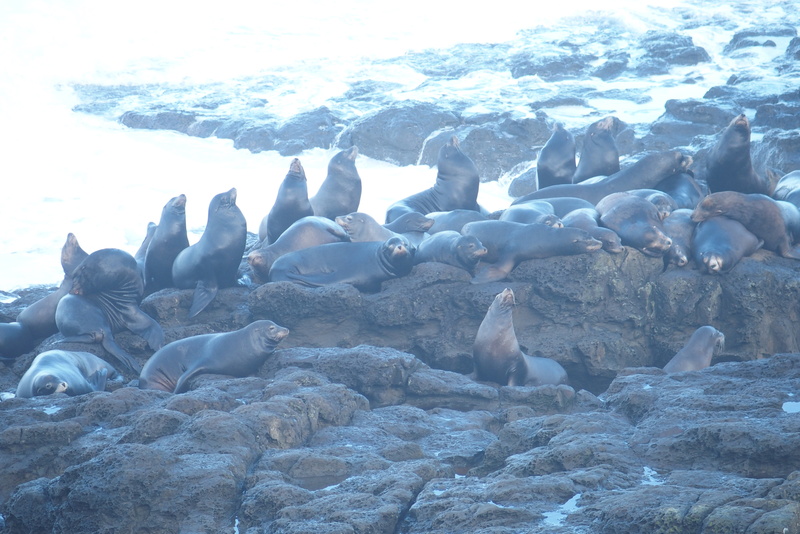 The proprietress of a great ice cream shop in Newport told us about “her” sea lions. The ladies spend all year along this northern coast. The guys go down to California for 11 months and just come back to mate. They’re quite noisy. Arf! Arf! 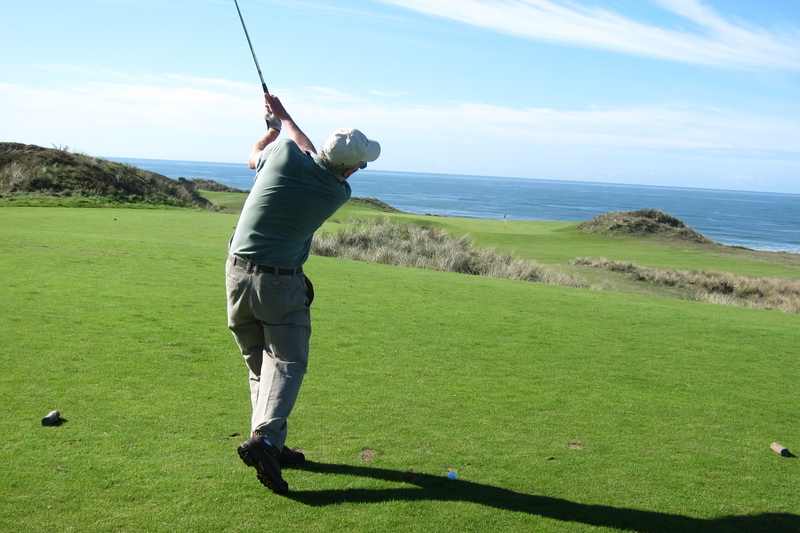 Finally we were back into blue skies, so nice that Michael could enjoy a day of golf at Bandon Dunes for his birthday. 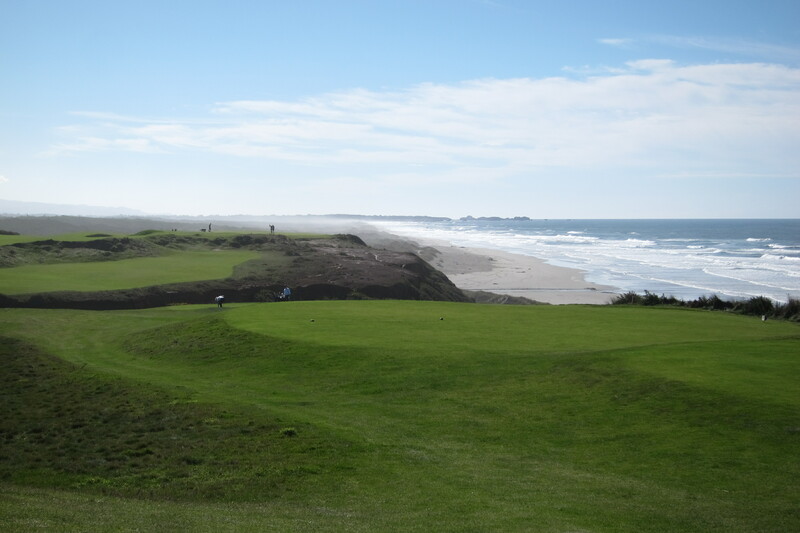 This entry was posted in Travel Journal and tagged Bandon Dunes, birds, crab, dunes, golf, ocean, Oregon, Oregon Pioneer, sea lions, wildlife. Bookmark the permalink.